Sir William Lyons sadly passed away 8February 1985 at his home in Wappenbury Hall, Leamington Spa. Born September 4, 1901 in Blackpool After attending Arnold School, he obtained an engineering apprenticeship at Crossley Motors in Manchester, where he also studied at the technical school. He left Crossley in 1919 to work as a salesman at the Sunbeam dealers Brown and Mallalieu in Blackpool.In 1921 he met William Walmsley who was converting army-surplus motorcycles for civilian use and making sidecars. Lyons admired the sidecars and bought one. Lyons and Walmsley obtained a substantial £500 bank guarantee to go into business. So they founded the Swallow Sidecar Company in 1922, which became Jaguar Cars Limited after the Second World War.Their plans were delayed as Lyons was under the legal age, but on his 21st birthday he formed a partnership with Walmsley. It was called Swallow Sidecars and had a staff of “three men and a boy”.The company manufactured stylish sidecars, but after 1927 made increasing numbers of low cost coach-built cars, especially the Austin Seven Swallow which the Blackpool factory produced at the rate of 12 per week. Following several moves to larger premises in Blackpool, in 1928 Lyons moved the company (and his family) to Coventry. His family home was Woodside, Gibbet Hill, on the fringe of the city. Production increased to 50 cars each week. In 1931 they began selling the SS1, and in 1933 the company name was changed to SS Cars Ltd. The following year, William Walmsley left the company. The first “Jaguar” model was offered in 1935, and after WW2 and Lyons also changed the company name to Jaguar.During the War vehicle production was switched to aircraft manufacture and repair, but engineering development did continue. Some secretive military projects were undertaken but most importantly for the future of the company, Lyons and his engineering team worked on a new engine which was topower his vision of a mass produced sporting saloon car. The XK engine was completed in 1948 and launched in a (supposedly) one-off concept sports car to help draw attention to it. This succeeded far better than was envisaged and both became an overnight sensation, globally. The XK engine went on to power all Jaguars until its last appearance in 1983. 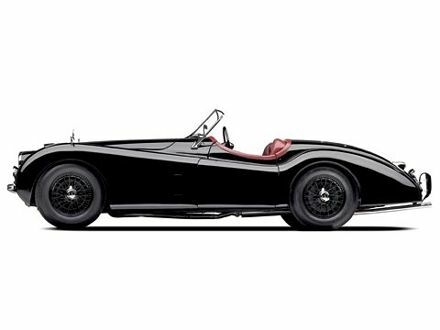 The sports car, XK120, went into full production too and led to a string of attention-grabbing (and profitable) sports cars which led to international sporting success (most notably at Le Mans) and helped put the name of Jaguar Cars and Coventry on the world map. But Lyons main focus was on the saloon car which became his last and proudest achievement, the XJ6 of 1968.He was responsible for the styling of every new model introduced (although the C-type, D-type, E-type and XJ-S were designed by Malcolm Sayer). This was remarkable, as Sir William was not a trained draughtsman, and designed primarily using full scale 3-D mockups, which were continually adjusted by craftsmen working under his instructions. Undoubtedly one of his other great skills was to pick the highly accomplished team that was to remain loyal to him for so long. In 1956 Lyons was knighted for his services to British industry and for the fine export performance of the company. 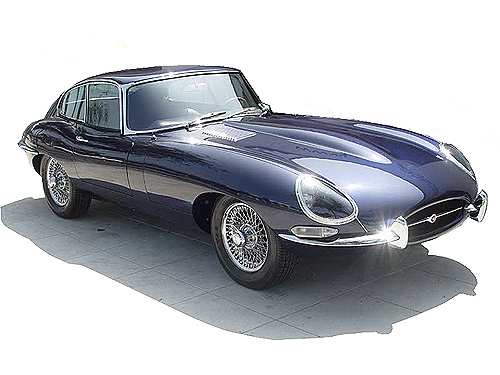 In 1966, faced with a strengthening global industry, he merged Jaguar with the British Motor Corporation (BMC) to form British Motor Holdings, which was later absorbed into British Leyland. Unfortunately the final years of Lyons tenure before he retired as managing director near the end of 1967, while remaining on as chairman, were a constant struggle against impossible odds to retain the identity and independence of his company, not least its engineering department. He retired completely in 1972, His health declined fairly rapidly in retirement but happily he did live long enough to witness a remergence of sorts of his company under John Egan. Sir William’s daughter Patricia also married Leeds Jaguar-distributor and rally driver Ian Appleyard, and was his co-driver in many international rallies from 1951 to 53, mostly in an XK120 registered NUB 120, including the Alpine Rally, which they won three times. The 2014 Winter Olympics, officially the XXII Olympic Winter Games, or the 22ndWinter Olympics, is being held in Sochi, Russia from 7 February through 23 February 2014, opening rounds in figure skating, skiing, and snowboard competitions were held on the eve of the Opening Ceremony, 6 February 2014. Both the Olympics and 2014 Winter Paralympics are being organized by the Sochi Organizing Committee (SOC). Sochi was selected as the host city in July 2007, during the 119th IOC Session held in Guatemala City. The Sochi Olympics will be the first Olympics in the Russian Federation since the breakup of theUSSR in 1991. The USSR was the host nation for the 1980 Summer Olympics inMoscow. 98 events in 15 winter sport disciplines will be held throughout the Games. A number of new competitions—a total of twelve accounting for gender—will be held during the Games, including biathlon mixed relay, women’s ski jumping, mixed-team figure skating, mixed-team luge, half-pipe skiing, ski and snowboard slopestyle, and snowboard parallel slalom. The events will be held around two clusters of new venues; an Olympic Park was constructed in Sochi’s Imeretinsky Valley on the coast of the Black Sea, with Fisht Olympic Stadium and the Games’ indoor venues located within walking distance, and snow events will be held in the resort settlement of Krasnaya Polyana. In preparation for the games, organizers focused on modernizing thetelecommunications, electric power, and transportation infrastructures of the region. While originally budgeted at US$12 billion, various factors caused the budget to expand to over US$51 billion, surpassing the estimated $44 billion cost of the 2008 Summer Olympics in Beijing as the most expensive Olympics in history. the lead-up to the 2014 Winter Olympics was marked by several major controversies, including allegations of corruption leading to the aforementioned cost overruns, concerns for the safety and human rights of lesbian, gay, bisexual and transgender(LGBT) athletes and supporters during the Games due to the country’s recent ban on the promotion of LGBT relationships to minors, which led to ongoing protests, and various security concerns over threats by jihadist groups tied to the insurgency in the North Caucasus. The ex-bass player and founding member of rock band Status quo Alan Lancaster was born 7 February 1949 in Peckham, London,England. As well as contributing to songwriting, he was also one of the lead vocalists on albums and live concerts taking the lead on tracks such as “Backwater”, “Bye Bye Johnny”, “High Flyer” and “Roadhouse Blues”, etc. Alan Lancaster formed the group in 1962 with his then schoolmate Francis Rossi. His final performance as a full-time member of Status Quo was at Wembley Stadium on 13 July 1985 for the opening of Live Aid. In March 2013 he collaborated with his old bandmates for a series of “Frantic Four” concerts in the UK. They all sold out except for the last date at Wembley Arena. Following “Live Aid”, Lancaster’s relationship with Francis Rossi became increasingly strained, when Francis Rossi and Rick Parfitt covertly began recording a new album under the name of “Status Quo”. Unbeknown to Lancaster – by now living inAustralia – and the group’s then recording company, Rossi had utilised the assistance of the group’s then manager, to drawdown on the group’s contracted recording advances, provided by Phonogram Limited. Lancaster was substituted with session musician John ‘Rhino’ Edwards, who had been recording on a solo project of Rick’s – “Recorded Delivery” – which was eventually scrapped. Edwards remains Quo’s bassist to this day.When Lancaster discovered what was going on, he applied for an injunction to protect his interests in the Status Quo name. When this came to the attention of Phonogram Records Limited, it applied to become a joint defendant, in order to protect its own interests in releasing recordings under the name, and for the advances provided. Lancaster continues to live in Sydney, Australia. He joined a new line up of Australian band The Party Boys in 1987 and then co produced a hit album, achieving platinum sales. Also achieving ‘gold’ and reaching the number one spot with hit single “He’s Gonna Step On You Again”. In 1988, he formed the Bombers, which signed to A & M Records in the USA. It was paid the largest advance ever paid to an Australian based band, but unfortunately after the band had completed a five-star reviewed album, A & M was sold to Phonogram; leaving the band high and dry. The Bombers’ original drummer was Lancaster’s ex-Status Quo band mate John Coghlan. Ironically, Lancaster had been complicit in Coghlan’s departure from Status Quo in 1981. The Bombers supported Cheap Trick (1988),Alice Cooper (1990) and Skid Row (1990) on their tours of Australia. When the Bombers disbanded, Lancaster continued with his then partner John Brewster (“The Angels”) with “The Lancaster Brewster Band”, in which Angry Anderson performed as a guest artist for some time. Lancaster then formed his own band: Alan Lancaster’s Bombers which released an E.P. and toured Scandinavia before disbanding in 1995. As well as writing the theme song for the film “Indecent Obsession”, he also produced an album for classical pianist Roger Woodward, which achieved platinum sales in Australia. In March 2010 Lancaster and Rossi met in Sydney leading to speculation of the original line-up reuniting.This was later denied by current bassist, Rhino, who, speaking of him with the greatest respect, explained in an interview that Lancaster was in poor health and unable to participate in any such reunion.However his health improved and it was announced that the classic “Frantic Four” line-up of Francis Rossi, Rick Parfitt, Alan Lancaster and John Coghlan would perform a series of concerts together in March 2013. The concerts sold out instantly, and it is rumoured that there will be a new album from this line-up in the coming months. He is also included in a brief cameo role as a ‘Hotel Porter’ in the Quo’s comedy caper ‘Bula Quo!’. as well as appearing in the documentary on Status Quo, titled Hello Quo. Directed by Ralph Fiennes and with a script by Abi Morgan,I would like to see, The Invisible Woman, which also stars Fiennes as Charles Dickens and looks a Dickens affair during his later years, with a young aspiring actress named Nelly Ternan (Played by Felicity Jones). The film straddles two timelines to illuminate a deliberately obscured life, opening the book at both ends on this other woman and her divided state of being. It begins on Margate beach in Nelly’s adulthood as she is on her way to rehearse a school production of Dickens and Wilkie Collins’s play The Frozen Deep, which sends her private, distractible thoughts racing back to the time when it premiered, and she was in it. Guided in this stage apprenticeship, along with two sisters, by her protective, slightly apprehensive mother (Kristin Scott Thomas), Nelly is fast installed as a favourite of Dickens, and a relationship develops, His wife Catherine (Joanna Scanlan) has become part of the furniture after bearing him 10 children, and looks too worn down to protest.Dickens’s relationship to the theatre world, rarely explored on screen, is a major asset, giving Oscar-winning costume designer Michael O’Connor (The Duchess), plenty of scope. The film plays to Fiennes’s strengths, too and is splendid on both the chunky, hurried artifice of period staging and the evanescent magic that’s still capable of bursting through. There’s dry comedy in these scenes, thanks to a reliably mischievous Tom Hollander cameo as the floppy-haired Collins, but it’s also, exactly as any portrait of the performing arts should be, a world of tactful phoniness and smiling lies, where, after an evening of fluffed lines-and intermittent heckling, nelly considers that she may not be the best actress, despite the fact that she is game and competent she isn’t very gifted, which further pressurises her fledgling affair. Should scandal erupt, what else does she have to fall back on? Scott Thomas lends a generous helping hand in support: during a hushed late-night chat between the smitten Dickens and her daughter. Long-delayed though it is, the fall-out of Charles and Nelly’s romance within Dickens’s family is finally inevitable – he divorced Catherine in 1858. A wonderful Scanlan, who gives arguably the standout performance as she laments the sadness of even a sexless marriage being progressively bulldozed by infidelity, in two, emotionally crushing scenes late on. The film is tough enough to ponder the irony of a famously compassionate novelist turning a blind eye to the upsets his own life caused – on top of its overall class, this gives it a needed edge of controversy, too. One bold, expressionistic sequence brings Fiennes’s Dickens face to face with London’s wretched homeless down an alley at night. Propositioned by a painted lady, he tries to send her home to her mother, and yet to avoid disgrace,he was capable, of abandoning Nelly bleeding and hurt when their train derails, snatching up a page from his Great Expectations manuscript, and hurrying on his way. Fiennes’s Dickens is far too carefully-drawn to be dismissed as some unfeeling monster, but you might have had grave long-term doubts about trusting any of your daughters with him. Generally considered the greatest of the Victorian novelists,Charles Dickens was born 7 February 1812 in Landport, Portsea. Shortly after the family moved to Norfolk Street, Bloomsbury then to Chatham, Kent. His early years seem to have been idyllic,spending much time outdoors and reading voraciously. His father’s brief period as a clerk in the Navy Pay Office afforded him a few years of private education at William Giles’s School, in Chatham. In 1822 the Dickens family moved from Kent to Camden Town, in London. Unfortunately his His Father John Dickens continually lived beyond his means and the Dickens family, apart from Charles, were eventually imprisoned in the Marshalsea debtor’s prison in Southwark, London in 1824.Charles himself was boarded with family friend Elizabeth Roylance in Camden Town. whom Dickens later immortalised, “with a few alterations and embellishments”, as “Mrs. Pipchin”, in Dombey and Son. Later, he also lived in the house of an insolvent-court agent who was a good-natured, kind old gentleman, with a quiet old wife”; and he had a very innocent grown-up son; these three were the inspiration for the Garland family in The Old Curiosity Shop. To pay for his board and to help his family, Dickens left school and began working ten-hour days at Warren’s Blacking Warehouse, on Hungerford Stairs, near Charing Cross railway station, pasting labels on blacking.The terrible working conditions made a deep impression on Dicken which later influenced his fiction and essays, & formed the foundation of his interest in the reform of socio-economic and labour conditions, the rigors of which he believed were unfairly borne by the poor. After only a few months in Marshalsea, John Dickens’s paternal grandmother, Elizabeth Dickens, died and bequeathed him the sum of £450. On the expectation of this legacy, Dickens was granted release from prison. Under the Insolvent Debtors Act, Dickens arranged for payment of his creditors, and he and his family left Marshalsea for the home of Mrs. Roylance.Although Charles attended the Wellington House Academy in North London, his mother did not immediately remove him from the boot-blacking factory. This incident may have been a factor in his dissatisfied attitude towards women.Righteous anger stemming from his own situation and the conditions under which working-class people lived became major themes of his works, and it was this unhappy period in his youth to which he alluded in his favourite, and most autobiographical, novel, David Copperfield.From May 1827 until November 1828 Dickens worked at the law office of Ellis and Blackmore, attorneys, of Holborn Court, Gray’s Inn, as a junior clerk. He then became a freelance reporter. reporting legal proceedings for nearly four years. 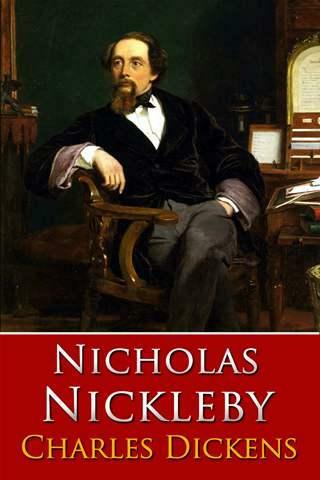 This experience informed works such as Nicholas Nickleby, Dombey and Son, and especially Bleak House whose vivid portrayal of the machinations and bureaucracy of the legal system did much to enlighten the general public. In 1833 Dickens’s first story, A Dinner at Poplar Walk was published in the London periodical, Monthly Magazine. The following year he becoming a political journalist, reporting on parliamentary debate and travelling across Britain to cover election campaigns for the Morning Chronicle. His journalism, in the form of sketches in periodicals, formed his first collection of pieces Sketches by Boz, published in 1836. This led to the serialisation of his first novel, The Pickwick Papers, in March 1836. He continued to contribute to and edit journals throughout his literary career. In 1836 Dickens accepted the job of editor of Bentley’s Miscellany, At the same time, his success as a novelist continued, producing Oliver Twist (1837–39), Nicholas Nickleby, The Old Curiosity Shop and, finally, Barnaby Rudge: A Tale of the Riots of ‘Eighty as part of the Master Humphrey’s Clock series. On 2 April 1836, he married Catherine Thomson Hogarth the daughter of George Hogarth, editor of the Evening Chronicle. Dickens and his family lived in London for two years. Dickens’s younger brother Frederick and Catherine’s 17-year-old sister Mary also moved in with them. Sadly Mary died in 1837 & became a character in many of his books, and her death is fictionalised as the death of Nell in The Old Curiosity Shop. In 1842, Dickens and his wife travelled to the United States and Canada, where he supported the abolition of slavery. Which was the basis of some of the episodes in Martin Chuzzlewit. Dickens includes in Notes a powerful condemnation of slavery, with “ample proof” of the “atrocities” he found. He also called upon President John Tyler at the White House to abolish it. In 1851 Dickens moved into Tavistock House where he wrote write Bleak House, Hard Times and Little Dorrit. In 1856 he moved to Gad’s Hill Place in Higham, Kent, The area was also the scene of some of the events of Shakespeare’s Henry IV, Part 1 and this literary connection pleased him. In 1857, Dickens hired professional actresses for the play The Frozen Deep, which he and his protégé Wilkie Collins had written.Dickens separated from his wife, Catherine, in 1858. whilst pondering about giving public readings for his own profit, Dickens was approached by Great Ormond Street Hospital to help it survive its first major financial crisis through a charitable appeal. Dickens, whose philanthropy was well-known, was asked to preside by his friend, the hospital’s founder Charles West. In 1858, Dickens spoke at the hospital’s first annual festival dinner at Freemasons’ Hall and later gave a public reading of A Christmas Carol at St. Martin-in-the-Fields church hall. The events raised enough money to enable the hospital to purchase the neighbouring house, No. 48 Great Ormond Street, increasing the bed capacity from 20 to 75. in the summer of 1858 Dickens undertook his first series of public readings in London, and then began an ambitious tour through the English Provinces , Scotland and Ireland, he read eighty-seven times, on some days giving both a matinée and an evening performance. Major works, A Tale of Two Cities and Great Expectations soon followed and both proved resounding successes. During this time he was also the publisher editor & major contributor to, the journals Household Words and All the Year Round. Dickens also furthered his interest in the paranormal becoming one of the early members of The Ghost Club. Arctic Exploration was also a A recurring theme in Dickens’s writing The heroic friendship between explorers John Franklin and John Richardson gave Dickens the idea for A Tale of Two Cities, The Wreck of the Golden Mary and the play The Frozen Deep. After Franklin died in unexplained circumstances on an expedition to find the Northwest Passage, Dickens wrote a piece defending him in Household Words. IN 1865, Dickens was involved in the Staplehurst rail crash. The first seven carriages of the train plunged off a cast iron bridge under repair. The only first-class carriage to remain on the track was the one in which Dickens was travelling. Dickens tried to help the wounded and the dying before rescuers arrived. Dickens later used this experience as material for his short ghost story The Signal-Man in which the central character has a premonition of his own death in a rail crash AND IS based around several previous rail accidents, such as the Clayton Tunnel rail crash of 1861. Dickens never really recovered from the trauma of the Staplehurst crash, and his normally prolific writing shrank to completing Our Mutual Friend and starting the unfinished The Mystery of Edwin Drood. Much of his time was taken up with public readings from his best-loved novels. Dickens was fascinated by the theatre as an escape from the world. In 1867 Dickens sailed from Liverpool for his second American reading tour and met such notables as Ralph Waldo Emerson, Henry Wadsworth Longfellow and his American publisher James Thomas Fields. He maintained a hectic schedule giving readings in both Boston and New York, which took it’s toll on his health. His final appearance was at a banquet the American Press held in his honour at Delmonico’s on 18 April and boarded his ship to return to Britain shortly after. Between 1868 and 1869, Dickens gave a series of “farewell readings” in England, Scotland, and Ireland, until he collapsed on 22 April 1869, at Preston in Lancashire showing symptoms of a mild stroke. 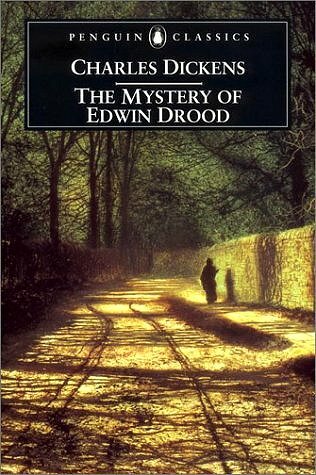 further provincial readings were cancelled, he began work on his final novel, The Mystery of Edwin Drood. In an opium den in Shadwell, he witnessed an elderly pusher known as “Opium Sal”,who subsequently featured in his mystery novel. Dickens arranged, for a final series of twelve performances between January and March 1870. Although in grave health by this time, he read A Christmas Carol and The Trial from Pickwick. On 2 May, he made his last public appearance at a Royal Academy Banquet in the presence of the Prince and Princess of Wales, paying a special tribute to his friend, illustrator Daniel Maclise. On 8 June 1870, Dickens suffered another stroke at his home, after a full day’s work on Edwin Drood. The next day, on 9 June, and five years to the day after the Staplehurst rail crash 9 June 1865, he died at Gad’s Hill Place, never having regained consciousness. Contrary to his wish to be buried at Rochester Cathedral “in an inexpensive, unostentatious, and strictly private manner,” he was laid to rest in the Poets’ Corner of Westminster Abbey. A printed epitaph circulated at the time of the funeral reads: “To the Memory of Charles Dickens (England’s most popular author) who died at his residence, Higham, near Rochester, Kent, 9 June 1870, aged 58 years. He was a sympathiser with the poor, the suffering, and the oppressed; and by his death, one of England’s greatest writers is lost to the world. five days after Dickens’s interment in the Abbey, Dean Arthur Penrhyn Stanley delivered a memorial eulegy, lauding “the genial and loving humorist whom we now mourn”, for showing by his own example “that even in dealing with the darkest scenes and the most degraded characters, genius could still be clean, and mirth could be innocent.” Dickens’s will stipulated that no memorial be erected to honour him. The only life-size bronze statue of Dickens, cast in 1891 by Francis Edwin Elwell, is located in Clark Park in the Spruce Hill neighbourhood of Philadelphia, Pennsylvania in the United States. The couch on which he died is preserved at the Dickens Birthplace Museum in Portsmouth. During his lifetime Dickens became well known and his novels proved immensely popular. His first Full novel, The Pickwick Papers (1837), brought him immediate fame, and this success continued throughout his career. Among his best known novels are Martin Chuzzlewit, Bleak House. Many of his works were adapted for the stage during his own lifetime including The Pickwick Papers. his works have never gone out of print either and At least 180 motion pictures and TV adaptations based on Dickens’s works including A Christmas Carol which is his best-known story, with new adaptations almost every year and is also the most-filmed of Dickens’s stories. This simple morality tale with both pathos and its theme of redemption, sums up (for many) the true meaning of Christmas. A prominent phrase from the tale, ‘Merry Christmas’, was popularised following the appearance of the story. The term Scrooge became a synonym for miser, with ‘Bah! Humbug!’ dismissive of the festive spirit.Novelist William Makepeace Thackeray called the book “a national benefit, and to every man and woman who reads it a personal kindness”. The book significantly redefined the “spirit” and importance of Christmas, and initiated a rebirth of seasonal merriment after Puritan authorities in 17th century England and America suppressed pagan rituals associated with the holiday, the current state of the observance of Christmas is largely the result of a mid-Victorian revival of the holiday spearheaded by A Christmas Carol. 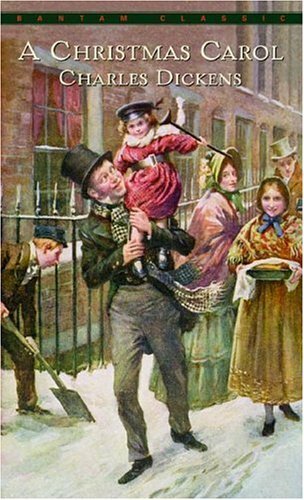 Dickens sought to construct Christmas as a family-centred festival of generosity, in contrast to the community-based and church-centred observations which had dwindled during the late eighteenth and early nineteenth centuries. A Tale of Two Cities is also among Dickens most famous and best selling novels, which highlighted the life of the forgotten poor and disadvantaged within society. Dickens also campaigned on specific issues—such as sanitation and the horrific conditions of the workhouse but his fiction probably demonstrated its greatest prowess in changing public opinion in regard to class inequalities and condemned the public officials and institutions that allowed such abuses to exist, His most strident indictment of this condition is in Hard Time. His writings inspired others, in particular journalists and political figures, to address such problems of class oppression and the exceptional popularity of his novels, even those with socially oppositional themes (Bleak House, ; Little Dorrit, ; Our Mutual Friend, and highlighted the plight of the industrial working class and his compelling storylines together with unforgettable characters helped ensure that the Victorian public confronted issues of social injustice that had commonly been ignored. Dickens also clearly influenced later Victorian novelists such as Thomas Hardy and George Gissing; their works display a greater willingness to confront and challenge the Victorian institution of religion. They also portray characters caught up by social forces (primarily via lower-class conditions), but usually steered them to tragic ends beyond their control. Many Novelists continue to be influenced by his books. Matthew Pearl’s novel The Last Dickens is a thriller about how Charles Dickens would have ended The Mystery of Edwin Drood. In the UK survey entitled The Big Read carried out by the BBC in 2003, five of Dickens’s books were named in the Top 100. David Bryan, the keyboard player with rock band Bon Jovi was born 7th February 1962 Originally from Sayreville, New Jersey, Bon Jovi Formed in 1983 and consist of lead singer and namesake Jon Bon Jovi (John Francis Bongiovi, Jr.), guitarist Richie Sambora, keyboardist David Bryan and drummer Tico Torres. The band’s lineup has remained mostly static during their history, the only exception being the departure of bass player Alec John Such in 1994, who was unofficially replaced by Hugh McDonald. The band achieved widespread recognition with their third album, Slippery When Wet, released in 1986. Their fourth album New Jersey, which was released in 1988, became just as successful as its predecessor. Bon Jovi went onto achieve thirteen U.S. Top 40 hits between 1986-1995, including four number-ones including You Give love a Bad Name“”, “Livin on a Prayer“, “Bad Medicine“, and “I’ll Be There for You”. Other hits include Keep the Faith ”Wanted Dead or Alive” ”Bed of Roses” Have a Nice Day and “Always”. Their 2000 single “, It’s My Life“, successfully introduced the band to a younger audience. Bon Jovi has been known to use different styles in their music, which has included country for their 2007 album Lost Highway which debuted at number one on the Billboard 200. Their latest album, The Circle was released in 2009, reaching number one as well. Throughout their career, the band have released eleven studio albums, three compilation albums and one live album, and have sold 130 million records worldwide. They have performed more than 2,700 concerts in over 50 countries for more than 35 million fans. Bon Jovi was inducted into the UK Music Hall of Fame in 2006. The band was also honored with the Award of Merit at the American Music Awards in 2004, and as songwriters and collaborators, Jon Bon Jovi and Richie Sambora inducted into Songwriters Hall of Fame in 2009. Mark St. John, the former musician with rock band Kiss was born 7th February 1956. Kiss were Formed in New York City in January 1973 and rose to prominence in the mid to late 1970s on the basis of the members’ white and black face paint and flamboyant stage outfits and elaborate live performances, which featured fire breathing, blood spitting, smoking guitars, shooting rockets, The 1973–’80 original lineup of Paul Stanley (vocals and rhythm guitar), Gene Simmons (vocals and bass guitar), Ace Frehley (lead guitar) and Peter Criss (drums) is the most successful. 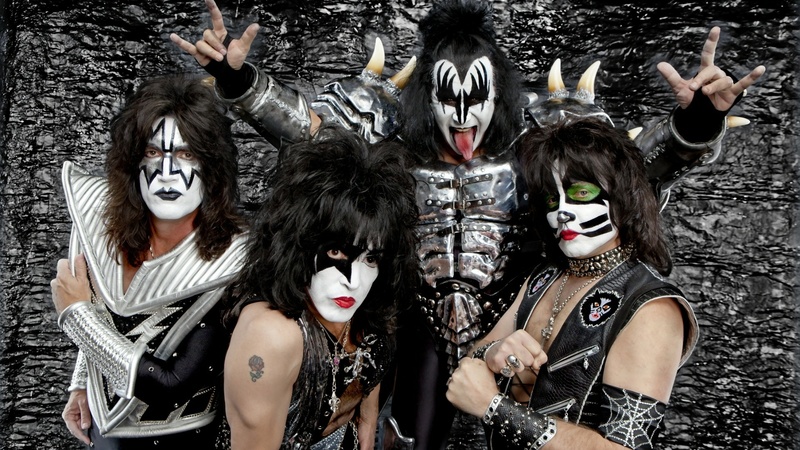 With their makeup and costumes, they took on the personas of comic book-style characters: Starchild (Stanley), The Demon (Simmons), Spaceman or Space Ace (Frehley) and Catman (Criss) and the performances included levitating drum kits and pyrotechnics. However Buoyed by a wave of Kiss nostalgia in the 1990s, the band announced a reunion of the original lineup in 1996. The resulting Kiss Alive/Worldwide/Reunion Tour was the top-grossing act of 1996 and 1997. Criss and Frehley have since left Kiss again, but the band continues with Eric Singer and Tommy Thayer. Sadly though St.John passed away in 2007, leaving Stanley and Simmons as the only two constant members remaining. Kiss have also been named in many “Top” lists. They include Number 10 on VH1′s ’100 Greatest Artists of Hard Rock’,9th on ‘The Greatest Metal Bands’ list by MTV, number one on Hit Paraders’s “Top 100 Live Bands”, 56th on VH1′s “100 Greatest Artists Of All Time”, and 26th on Gibson’s “50 Greatest American Rock Bands” and Counting the 1978 solo albums, Kiss has been awarded 28 gold albums to date, and have sold more than 40 million albums in the United States, of which 20 million have been certified by the RIAA and their worldwide sales exceeds 100 million albums.